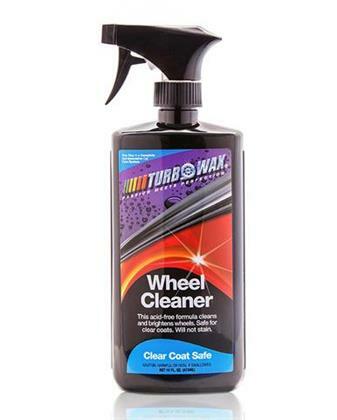 Turbo Wax Wheel Cleaner easily destroys brake dust, oil & road grime without damaging or staining your wheels. Using the latest technology, Turbo Wax Wheel Cleaner cleans any style wheel without acids, butyl ethers, harsh detergents or other harmful chemicals. Our wheel cleaner is PH balanced and is clear coat safe! Safe for aluminum, chrome & alloy wheels, even hubcaps!! !